Peggy A. Turpin serves as Vice President on the Board of Love Without Borders. Peggy is a Pastoral Counselor, and Temperament Therapist, licensed by the National Christian Counselors Association, located in Sarasota, Florida. Peggy worked as a Pastoral Counselor, and Temperament Therapist for seven years before entering Seminary. She views herself as a vessel of God, as He utilizes her knowledge and skills to help individuals combat despair and hopelessness. Temperament therapy is a tool that she uses to help others understand their human nature, and how their temperament can influence their personality, motivations, and their lives. 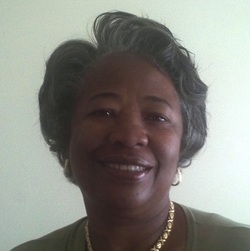 Peggy is currently a fulltime seminarian at New Brunswick Theological Seminary, in New Brunswick, New Jersey. She is a Masters of Arts candidate studying Pastoral Care and Counseling. She is also a Chaplain Intern at Capital Health’s Hopewell Hospital in Pennington, New Jersey. Peggy’s passion for helping others has been expressed through her thirty plus years working in the nursing field, and in human services capacities. When she isn’t glued to textbooks, she enjoys reading, listening to music, and spending time with family and friends. Her grandchildren are her greatest joy because she gets to spoil them, and hand them back over to their parents. Peggy is a member of Christian Cultural Center in Brooklyn, New York; she is a volunteer staff member where she serves as Team Leader on the Ministry of Helps. She enjoys this role of servanthood as it affords her the honor and privilege of interacting with, and serving God’s people.